She was never lame or swollen, not even one day. 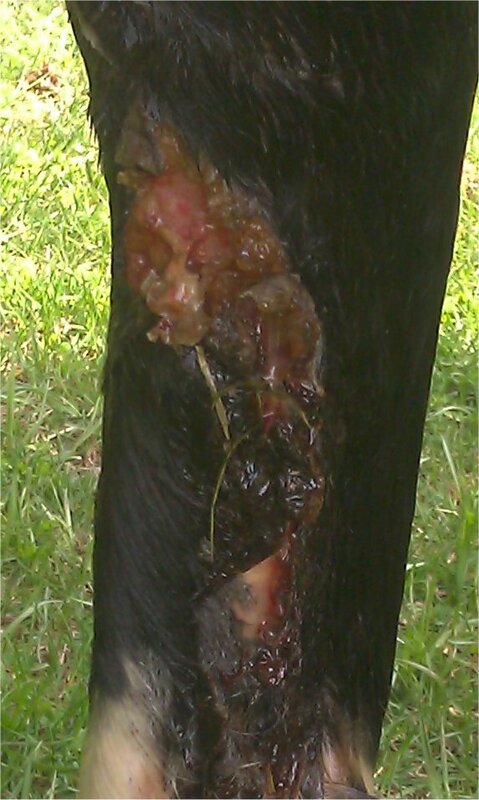 The wound has completely healed and unless you knew to look for a scar, there is no noticable reminder left. 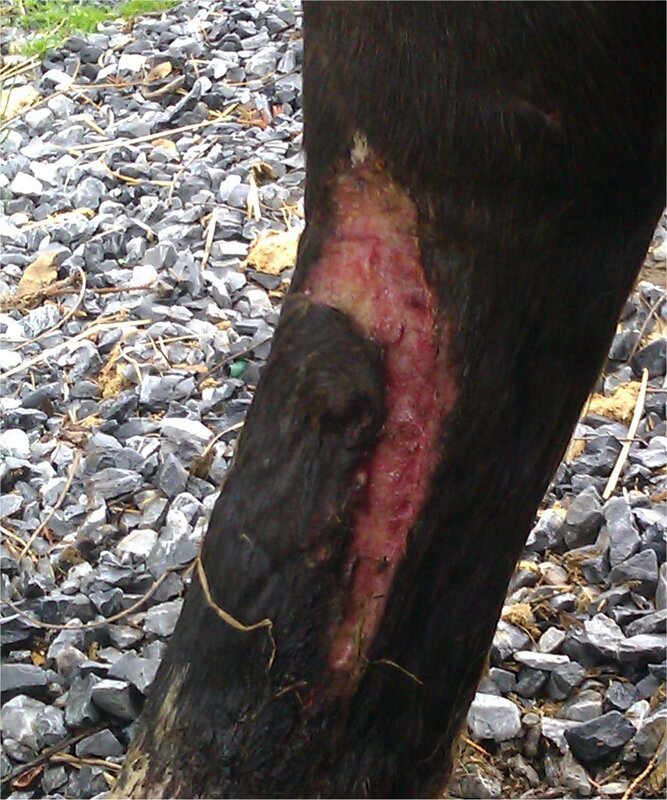 She competed at Lick Ridge with this wound barely healed (see Day 19 – that is taken at the vet check). I was so proud of her!